The Vertebrae Group was recommended to a new start-up company operating under the brand name, Reedy Wolf. While this project hasn’t been rolled out on a national scale, we worked with the company to create and develop the beta version of their real-time results search engine for private schools. The project utilizes a number of innovative technologies to change the way parents and students will research, compare, and register for private schools. 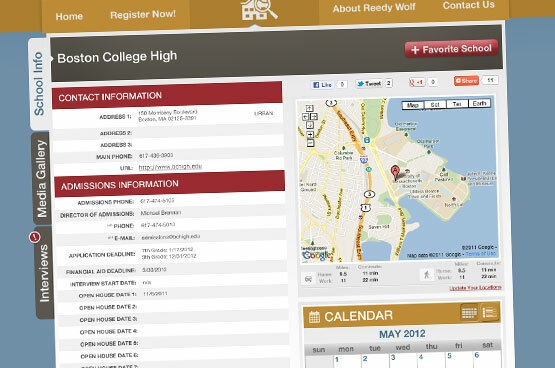 The system allows users to create an account to manage and track the school selection process. 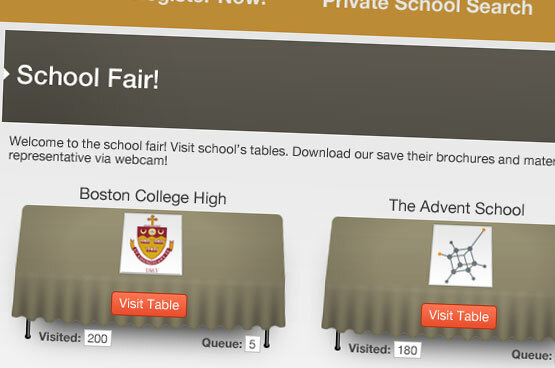 Users can schedule video conference interviews, attend online school fairs, bookmark their favorite schools, apply for them, and many more useful tools to facilitate the selection and application process. 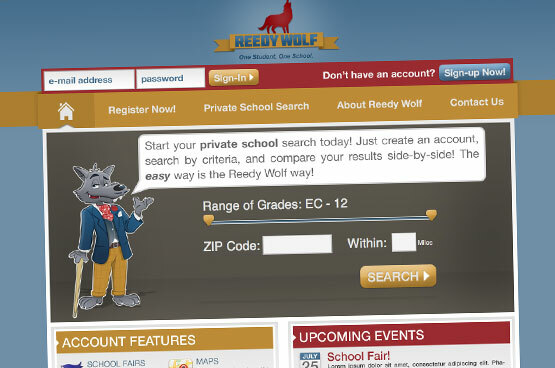 The back-end of the system is tailored for school administrators. Each participating school has the ability to manage their school’s information page, view and manage online interviews, schedule appointments, and communicate with the parents and students.